At various places and times, some philosophers have proposed that God created the world and then left it alone. And it's been running independently of him ever since. 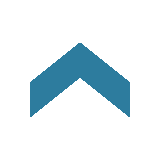 There are elements of this thinking in the writings of ancient Greek philosophers, for instance. But it became more popular in the seventeenth and eighteenth centuries in the West through the philosophy known as "Deism." Deism famously described God as a divine watchmaker and creation as a watch. It taught that God created and wound the watch, he put it on the shelf and let it run. And he hasn't touched it since. But Scripture paints a very different picture. To the true God, creation isn't a watch. It's a kingdom, populated by citizens. And God actively sustains and governs his kingdom, and conducts relationships with its people. And the person of the Trinity who most directly engages the world in these ways is the Holy Spirit. 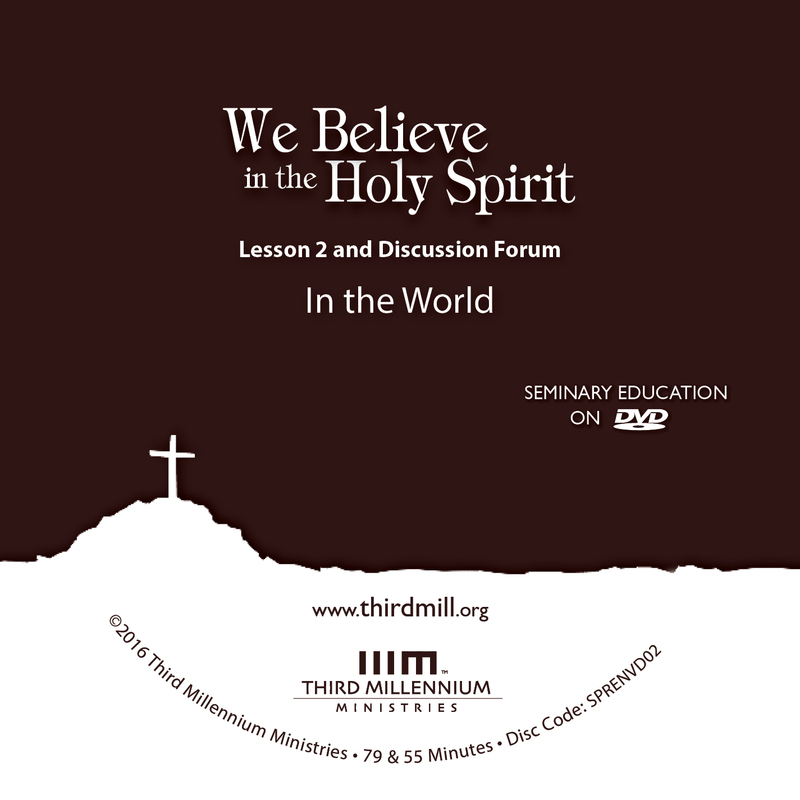 This is the second lesson in our series, We Believe in the Holy Spirit, and we've entitled it, "In the World." In this lesson, we'll focus on the Holy Spirit's activity in the creation as a whole. We'll investigate four aspects of the Holy Spirit's work in the world. First, we'll explain his work of creation when the universe began. Second, we'll look at his ongoing work of providence, by which he sustains and governs the creation. Third, we'll consider the revelation he provides throughout creation. And fourth, we'll mention the common grace he expresses to humanity at large. Let's look first at the Spirit's work of creation. The work of creation is that wherein God did in the beginning, by the word of his power, make of nothing the world, and all things therein, for himself, within the space of six days, and all very good. In this answer, the catechism identifies God's creative work primarily with the initial creation of the universe. But the Scripture references commonly associated with this answer acknowledge that creation also includes making new things on a continual basis, such as individual human beings. In a prior lesson, we said that the Apostles' Creed attributes the work of creation to the Father. And it's absolutely true that the Father was the initiator of creation. But Scripture also makes it clear that the Son and the Holy Spirit were involved in this work. For instance, 1 Corinthians 8:6 says that creation comes from the Father and through the Son. And theologians have generally agreed that the Holy Spirit was the person of the Trinity that carried out the work, according to the plan of the Father and by means of the Son. In the beginning God created the heavens and the earth. Now the earth was formless and empty, darkness was over the surface of the deep, and the Spirit of God was hovering over the waters (Genesis 1:1-2). As we saw in a prior lesson, the Old Testament doesn't identify the Holy Spirit as a distinct person within the Godhead. Nevertheless, it does indicate that God created the world by his Spirit. And in light of the New Testament's revelation about God's Spirit, it's legitimate to see these acts of creation as works of the Holy Spirit. Genesis 1 says that during creation, the Holy Spirit was "hovering over the waters."  The Hebrew word rachaph, translated "hovering," is used only one other time in the Pentateuch. In Deuteronomy 32:11, Moses used the metaphor of an eagle caring for its young to describe God's relationship with Israel. This passage uses rachaph to convey the idea of a powerful bird caring for and nurturing its offspring. So, when we read that God's Spirit hovered over the waters of creation, the implication is that the Spirit was the parent that molded and nurtured the creation according to God's word. Without him all was a dead sea, a confused deep, with darkness upon it, able to bring forth nothing … but by the moving of the Spirit of God upon it, the principles of all those kinds, sorts, and forms of things, which … make up its host and ornament, were communicated unto it. Although the language here is somewhat archaic, Owen's point was that before the Holy Spirit shaped creation, it consisted only of chaotic, lifeless waters. But when the Spirit moved, he created order and life. As we saw in Genesis 1:1, 2, before the Holy Spirit's work, creation was "formless and empty." The picture is of darkness and chaos. There was no light, no sense of order or form, no plants, and no creatures. But as we read in Genesis 1:3-31, the Spirit of God changed all that. During the first three days, he dealt with the formlessness of creation. On the first day, he created light, as well as the domains of day and night. On the second day, he created an expanse that divided the waters. We commonly refer to this expanse as the atmosphere or sky, which separates the water-filled clouds from the world below. On the third day, he collected the waters in such a way that he created dry land, and also the plants that grow on the land. During these first three days, he formed the boundaries of creation by ordering the day and night, the sky and the waters, and the dry land with its vegetation. During the next three days — days four through six of the creation week — the Spirit of God addressed creation's emptiness. And he did this by filling the various domains he had previously created. On day four, he created the sun, moon and stars to fill the domains of day and night that he'd created on the first day. On day five, he created sea creatures and birds, filling the domains of the sea and the sky that he'd created on the second day. And on day six, he created land animals and human beings to fill the domain of the dry land that he'd created on the third day. How many are your works, O Lord! In wisdom you made them all; the earth is full of your creatures. There is the sea, vast and spacious, teeming with creatures beyond number — living things both large and small… When you take away their breath, they die and return to the dust. When you send your Spirit, they are created, and you renew the face of the earth (Psalm 104:24-30). This passage mentions the creation of things like waters, plants, and creatures. And it attributes this work to the Spirit. Having looked at the Holy Spirit's activity in the world during the creation week, let's turn our attention to his works of providence throughout the rest of history. Basically, providence encompasses everything the Holy Spirit does in the world throughout history. For the sake of simplicity, though, we'll limit our discussion to its general workings. And we'll deal with many of its components as separate topics in this lesson and in the lessons that follow. For the most part, the passages of Scripture that speak about providence don't distinguish between the persons of the Trinity. And we should readily admit that the entire Trinity is involved in God's providential work. But in these passages, there are still enough references to the Spirit for us to emphasize his role. We'll outline the Holy Spirit's work of providence in two parts. First, we'll focus on his work in the realm of nature. And second, we'll mention his work specifically among humanity. Let's look at nature first. When we examine nature from a scientific perspective, it looks like it could be self-sustaining. Weather, geography and biology appear to be relatively mechanical systems with consistent, natural rules. The same can be said for other natural sciences like astronomy, chemistry, physics, geology, and so on. But Scripture teaches that in order for us to understand nature properly, we have to know that God created it, and that he governs and upholds all of its systems. The Lord does whatever pleases him, in the heavens and on the earth, in the seas and all their depths. He makes clouds rise from the ends of the earth; he sends lightning with the rain and brings out the wind from his storehouses (Psalm 135:6-7). The most dramatic demonstration of God's providential power in nature was undoubtedly the flood in Noah's day. Genesis 6–9 indicates that God flooded the entire world in response to humanity's wickedness. And Genesis 6:3 points to the role of the Spirit in carrying out this judgment. God's power in nature is also exhibited by the plagues on Egypt in Exodus 7–12. We see it in the parting of the Red Sea in Exodus 14. And the Spirit's most astounding power over nature is arguably during the Israelites' battle with the Amorites when the sun stood still in the sky "till the nation avenged itself on its enemies," as we read in Joshua 10:13. God himself explained his ordinary providential control over nature in Job 38–41. He mentioned his power over the earth, the sea, day and night, weather, and over a host of animals. And while the book of Job itself doesn't distinguish between the persons of the Trinity, Job 34:14, 15 points to God's Spirit as the one that carries out his divine will in the world. Scripture also teaches that the Holy Spirit governs the world in such a way that he regularly renews its features and governs the populations of its creatures. For example, as Psalm 135 tells us, he makes rain, clouds, wind and other elements. And in places like Psalm 65 we see that he changes the earth's geography by creating rivers, valleys, mountains, and deserts. And in many other places, he brings new life in the form of plants, animals and people. Every new thing that appears in creation is the work of the Spirit. O Lord … the earth is full of your creatures… These all look to you to give them their food at the proper time… [W]hen you open your hand, they are satisfied with good things… [W]hen you take away their breath, they die and return to the dust. When you send your Spirit, they are created, and you renew the face of the earth (Psalm 104:24-30). The psalmist knew that God doesn't literally prepare food for every creature, and then feed it by hand. He understood that animals eat according to cycles and hierarchies that we sometimes refer to as "food chains." From an earthly perspective, this process appears to be a natural, self-regulating system. But Scripture looks past this superficial understanding to see that God governs these behaviors. And we see similar ideas in Isaiah 34:15, 16. The psalmist also said that God manages creation in a way that perpetuates life, but limits it, too. In particular, no creature dies without God's involvement. He sustains their breath, or spirit, within them to keep them alive. He removes that breath or spirit when it's time for them to die. And the psalmist attributed this type of interaction with creation to God's Spirit. Look at the birds of the air; they do not sow or reap or store away in barns, and yet your heavenly Father feeds them… See how the lilies of the field grow. They do not labor or spin. Yet I tell you that not even Solomon in all his splendor was dressed like one of these… [S]eek first [God's] kingdom and his righteousness, and all these things will be given to you as well (Matthew 6:26-33). Jesus' point was that if people would pursue God's kingdom and righteousness, God would work through his providence to meet their daily needs. We should pause to point out that Jesus attributed God's works of providence to the Father. He did this to emphasize the Father's authority over his kingdom. But theologians commonly recognize that while the Father decrees providential work, it's the Holy Spirit who carries out these decrees. We see this in places like Matthew 10:20 and Luke 11:13. And we find related ideas in places like John 15:26; Acts 2:33; and 1 Peter 1:2. Having spoken of providence in nature, let's consider how the Holy Spirit works in humanity. Insofar as humanity is part of the natural world, the same things we've said about nature also apply to us. God manages and governs our environment, as we see in Psalm 135:6, 7. He controls our food sources, and even the success of our reproduction, as we read in Deuteronomy 7:13. His Spirit is the source of our very lives, as we read in Job 33:4. And he doesn't do this only by sustaining the natural systems of the world. As we'll see, he also governs humanity by directly influencing our circumstances, our bodies, and even our minds. As the Holy Spirit providentially governs the world, he influences human beings in many different ways. And this sometimes makes Christians uneasy, or even resentful. We worry that he might be violating our will, or pushing us to think and do sinful things. Sometimes we even accuse him of wrongdoing when he allows us to suffer. So, the first thing we should keep in mind is that the Holy Spirit never does anything sinful. He never mistreats or abuses us. And the second thing we should remember is that he's always working for the ultimate benefit of believers. Life might be painful now. But all the suffering we endure will eventually result in everlasting blessings. Now, different theological traditions have reconciled these ideas in different ways. But all Bible believers should affirm that the Holy Spirit's work of providence is always as good and as pure as the Spirit himself. The God who made the world and everything in it … gives all men life and breath and everything else… [H]e determined the times set for them and the exact places where they should live (Acts 17:24-26). Paul seems to have had the Holy Spirit in mind, since he spoke of God as the one who gives us life and breath. And he indicated that the Spirit's providential work includes giving us everything we have, and governing the times and exact places that we live. The Holy Spirit doesn't just maintain the world so that we can live in it. He actually governs the specific circumstances of our lives, and, in some sense, the choices we make. Of course, we all acknowledge this aspect of the Holy Spirit's work every time we affirm the miraculous healings and resurrections found in Scripture. And we embrace the Spirit's providence in our own lives when we pray, believing that God is both able and willing to change our circumstances, our health, our lifespans, and even our minds and spirits. Scripture records some rather extreme examples of the Holy Spirit governing the lives of human beings. For instance, in Deuteronomy 2:30, 31, Moses taught that God made Sihon king of Heshbon stubborn in spirit and obstinate in heart. And he did this so that the Israelites would defeat Sihon and his army, and their country would fall under Israelite control. And in Exodus 10:20, 27 and 11:10, God hardened the heart of Pharaoh, king of Egypt, so that he refused to release the Israelites from slavery. As a result, Pharaoh and his people were subjected to the plagues of darkness and the death of the firstborn. The Lord does whatever pleases him, in the heavens and on the earth … He struck down the firstborn of Egypt … He struck down many nations and killed mighty kings — Sihon king of the Amorites, Og king of Bashan and all the kings of Canaan — and he gave their land … to his people Israel (Psalm 135:6-12). The observation that God does whatever pleases him is made many times in Scripture, often as an affirmation that God actively upholds and directs human history. [God] does as he pleases with the powers of heaven and the peoples of the earth. No one can hold back his hand or say to him: "What have you done?" (Daniel 4:35). The Lord foils the plans of the nations… But the plans of the Lord stand firm forever (Psalm 33:10-11). From heaven the Lord looks down and sees all mankind … he who forms the hearts of all, who considers everything they do (Psalm 33:13-15). In his providence, the Spirit forms the hearts of all mankind. He molds our affections, beliefs, commitments, and desires — everything that contributes to who we are and what we do. God gave them over in the sinful desires of their hearts … [and] to shameful lusts… [S]ince they did not think it worthwhile to retain the knowledge of God, he gave them over to a depraved mind, to do what ought not to be done (Romans 1:24-28). God has mercy on whom he wants to have mercy, and he hardens whom he wants to harden. One of you will say to me: "Then why does God still blame us? For who resists his will?" But who are you, O man, to talk back to God? "Shall what is formed say to him who formed it, 'Why did you make me like this?'" Does not the potter have the right to make out of the same lump of clay some pottery for noble purposes and some for common use? (Romans 9:18-21). Here, Paul said that the potter's right over the clay even extended to hardening people's hearts, causing them to oppose him and to fall under his judgment. As we've suggested, different theological traditions understand the Spirit's work differently. Consider the Holy Spirit's providential work in bringing people to faith in Christ. We can illustrate the Spirit's work of conversion in terms of two roads or paths. One path represents receiving Christ as Savior. And the other represents rejecting him. All evangelical Christians should agree that the Holy Spirit providentially causes people to encounter the gospel, and to be faced with this decision. But there are at least three major views regarding the Spirit's involvement in this process. First, some theological traditions believe that human beings have the natural ability to choose either the path to salvation or the path to destruction. In this view, the Spirit's providential work focuses on bringing us into an encounter with the gospel. The second view agrees that the Holy Spirit orchestrates our lives so that we encounter the gospel. But it also believes that fallen human beings lack the natural ability to respond positively to the gospel. In our fallen state, we would always choose the path of destruction. So, in this view, the Holy Spirit provides "prevenient grace," or grace that comes before saving faith, that enables us to choose the path of salvation. Once we receive this grace, both paths are open to us, and we can choose either to receive or to reject Christ. The third major view agrees that the Holy Spirit causes us to encounter the gospel and that we lack the natural ability to choose life. But, in this view, the Holy Spirit provides "irresistible grace" to those he chooses to save. This grace not only enables us to choose the path of salvation, but actually ensures that we will. Clearly, there are significant disagreements between these views. Still, all three affirm the Holy Spirit's influence and governance over the lives of human beings, and, to one degree or another, even over the choices we make. Having considered the Holy Spirit's work in the world in terms of creation and providence, we're ready to turn to revelation. Revelation is really a subcategory of providence because it's part of the way the Holy Spirit governs creation in general, and human beings in particular. And revelation takes many forms. We can learn about God by observing creation. We can see his characteristics reflected in ourselves and in other people. He can send angelic messengers, or human evangelists and teachers. He can give visions and auditions and dreams. He's given us his word in Scripture. And he can even speak to our hearts directly through inward leading and illumination to help us interpret and apply Scripture. We'll discuss the Holy Spirit's work of revelation in two parts. First, we'll survey some theological models for categorizing revelation. And second, we'll look at what the Bible says about the Holy Spirit's role as the source of revelation. Let's look first at some theological models for categorizing revelation. Theologians have created many systems for categorizing the revelation the Holy Spirit provides. But for our purposes in this lesson, we'll limit our discussion to five of the more common models. The heavens declare the glory of God; the skies proclaim the work of his hands (Psalm 19:1). By contrast, supernatural revelation is knowledge of God that comes directly from God, or from his messengers. It includes miracles, prophecy, the inspiration of Scripture, and every other divine intervention and extraordinary work of providence. The distinction between natural and supernatural revelation rightly recognizes that God uses many different means of revelation. These include the natural universe, the preternatural realm of angels and demons, and direct communication with human beings. It also recognizes that, because God created all that exists, everything and everyone reveal something about him. However, it has the weakness of ignoring that all revelation is ultimately supernatural. After all, the natural world was created by God, and relies on God's providence to uphold and govern it. Because the Holy Spirit is the ultimate source of all revelation, it's helpful to think in terms of a continuum between natural and supernatural revelation. For instance, a direct, audible word from God would be highly supernatural. An inspired human prophet would be somewhat less supernatural. And observing God's creative hand in the natural universe would be the least supernatural. A second set of categories sometimes used to describe revelation is that of redemptive and non-redemptive revelation. Redemptive revelation is knowledge of God with the intent to accomplish salvation through Christ. For instance, the knowledge that God is merciful and forgiving is generally considered redemptive because it presupposes humanity's need for redemption. If we had never sinned, we wouldn't need mercy or forgiveness. But non-redemptive revelation is knowledge of God that doesn't take sinfulness or redemption into account. For example, the knowledge that God is the omnipotent Creator would be considered non-redemptive because it doesn't teach us about our sinfulness or our need for redemption. God's power is always the same, regardless of our sinfulness. It's important to recognize that many types of knowledge are non-redemptive from one perspective, but redemptive from another. For instance, recognizing God's glory — normally non-redemptive — might be the humbling experience that drives a sinner to repentance. Moreover, redemptive knowledge is only redemptive for those who repent. For those who don't, it serves as a further means of their judgment. We see this in passages like Matthew 11:21, 22, and Isaiah 6:9, 10. A third set of categories many theologians use is that of general and special revelation. General and special revelation have been defined in different ways by different theologians. Some theologians focus their distinction on the means by which the revelation is given. In this view, general revelation is roughly equivalent to natural revelation because it comes through natural means. And special revelation is roughly equivalent to supernatural revelation because it comes through supernatural or preternatural means. In other traditions, the focus is on the audience that receives the revelation. General revelation is addressed to human beings in general, so that it's potentially accessible to everyone, while special revelation is available only to a select few. This model rightly recognizes that not all people receive the same revelation from God since there are clearly differences in our lives, our history, and even in our ability to receive revelation. For instance, those who are blind can't directly receive the visual aspects of general revelation. And some special revelation, like Scripture, is intended to be presented to everyone possible. Another approach to these categories distinguishes between the content of general and special revelation. This approach is similar to non-redemptive and redemptive revelation. In this view, general revelation is intended for all human beings, irrespective of issues like sin and salvation. Correspondingly, special revelation is given to a select group of sinners for whom God intends salvation. This has the benefit of acknowledging God's choice of certain people for salvation, as Paul taught in Romans 8:29, 30, and Ephesians 1:5, 11. It also emphasizes God's determination to take special steps to bring these people to faith and maturity in Christ. But it has some weaknesses. For instance, revelation that condemns sinners isn't general, because it takes sin into account. And it isn't special, because it isn't necessarily intended to save anyone. A fourth model that theologians use to categorize the Holy Spirit's revelation consists of act and word revelation. Act revelation is God's self-revelation by means of his works and actions. And word revelation is his self-disclosure by means of inspired words, whether spoken or written. This distinction is often helpful because it emphasizes the different methods God uses to communicate. It rightly recognizes that we can learn a lot about God by looking at his works. But, because God's actions can often be ambiguous, it also emphasizes the clarity of his words over his works. In addition, it helps us see the interconnections between his words and actions — how his actions sometimes fulfill his words, and how his words sometimes explain his actions, and so on. For example, in Mark 3:22, Jesus was accused of curing demon-possessed people by the power of the devil. Clearly, that wasn't the case. He was doing it by the power of God. And the act revealed the Holy Spirit's power over Satan. But his audience didn't understand that. So, Jesus' word revelation in Mark 3:23-29 explains the significance of the act of exorcism. Of course, one shortcoming of this approach to revelation is that it focuses primarily on God's dramatic, salvific acts, and on the words explaining them. In this sense, it tends to downplay less noteworthy revelation, like that found in the mundane workings of the natural world. Finally, the fifth model we'll mention that's used to categorize revelation is mediate and immediate revelation. Mediate revelation comes to us through some form of medium or means, like creation, or a prophetic messenger, or Scripture. And immediate revelation comes to us directly from God, like the innate knowledge of God himself that he has placed in all people. Other types of immediate revelation include "illumination" and "inward leading" — divine gifts of knowledge or understanding that Scripture frequently attributes to the work of the Holy Spirit. We see this in places like 1 Corinthians 2:9-16; Ephesians 1:17; Colossians 1:9; and 1 John 2:27. This model reminds us to be sensitive to the Holy Spirit's movements in our lives. But it can also be easily abused, since many people can't distinguish between inward leading and illumination, and thoughts and feelings that naturally come to them. And this raises some important questions: How can we determine the source of our thoughts, emotions, visions, auditions, dreams, and even our interpretations of Scripture? How can we know if they come from the Holy Spirit, or perhaps an angel, and are therefore reliable? How can we be sure we aren't deceiving ourselves or being deceived by a demonic spirit? Passages like Acts 17:11, and 1 John 4:1 warn us that we shouldn't naively believe that every revelation, illumination, interpretation, and tradition is from the Holy Spirit. In fact, they encourage us to be skeptical, and to test every spirit and claim to see if they accord with God and Scripture. With these models of revelation in mind, let's discuss the Holy Spirit as the source of revelation. One thing all the theological models of revelation share in common is identifying God as the ultimate source of revelation. Because all revelation is from God, all revelation is infallibly true. And because it's true, it's also authoritative. It obligates us to believe what it teaches about God, and to respond by loving and obeying the God it reveals. But how do we know that the Holy Spirit, in particular, is directly involved with revealing God to us? It is the Spirit who testifies, because the Spirit is the truth (1 John 5:6). Scripture indicates that the Holy Spirit provides us with every category of revelation we've looked at in this lesson. But it's still helpful to consider some types of revelation that the Bible explicitly attributes to him. For the sake of time, we'll mention just three. First, as we saw in a prior lesson, the Holy Spirit is responsible for the inspiration of prophecy and Scripture. Second, the Holy Spirit is directly associated with illumination and inward leading. We mentioned illumination and inward leading in our discussion of immediate revelation. While these gifts aren't always distinct from one another in Scripture, we can still distinguish between them. "Illumination" is a divine gift of knowledge or understanding that's primarily cognitive. And "inward leading" is a divine gift of knowledge or understanding that's primarily emotive or intuitive. In 1 Corinthians 2:9-16, Paul described the Spirit's illumination and inward leading as a revelation of God's mind and thoughts to his people. Paul said that because the Spirit is God himself, he knows the mind and thoughts of God. And he reveals these to believers so that we can understand God's benevolent gifts to us. I keep asking that the God of our Lord Jesus Christ, the glorious Father, may give you the Spirit of wisdom and revelation, so that you may know him better. I pray also that the eyes of your heart may be enlightened (Ephesians 1:17-18). In this passage, Paul indicated that the Holy Spirit grants illumination to help us know God better, and inward leading to enlighten our hearts. We also find this idea in Colossians 1:9; and 1 John 2:27. Third, another extremely common type of revelation associated with the Holy Spirit is the category of miracles, signs and wonders. God … testified to [salvation] by signs, wonders and various miracles, and gifts of the Holy Spirit distributed according to his will (Hebrews 2:4). As we learn here, the Holy Spirit provided miracles, signs and wonders as revelation testifying to the gospel. Both the Old and the New Testaments confirm this revelatory function of miracles, signs and wonders. For instance, in Exodus 4, the Spirit performed signs through Moses, including turning his staff into a snake, and causing and curing leprosy. And he did this to convince Israel that Moses was to lead them. The plagues on Egypt were intended to prove to Pharaoh and his country that the God of Israel was the true God. So, they're called signs and wonders in places like Exodus 7:3, and 10:1, 2. The Spirit's miracles during Israel's wilderness wanderings are also called signs in Numbers 14:22 because they proved that Israel should follow Moses to the Promised Land. Deuteronomy 4:34, and many other places throughout the book, appeal to the signs and wonders from Israel's exodus as proof of God's covenant benevolence and faithfulness. And in 2 Samuel 7:23, Israel's conquest of the Promised Land is also said to have included signs and wonders proving that God favored his people and had power over the false Canaanite gods. The Holy Spirit also empowered Old Testament prophets and others to perform miraculous signs and wonders that proved the truth of their messages. For instance, Daniel 4:2, 3 indicates that King Nebuchadnezzar's dreams were signs and wonders, as were his insanity and subsequent restoration. His dreams confirmed God's prophecy regarding Nebuchadnezzar's future. And his insanity proved that God was the source of Nebuchadnezzar's success. Daniel's rescue from the lions is also called a sign and wonder in Daniel 6:27, because it validated his prophetic ministry. In the New Testament, the Holy Spirit used "signs and wonders" in a similar way. For example, the Gospels — especially the Gospel of John — call Jesus' miracles "signs" because they verified his message. We see this in Matthew 12:39; Luke 11:29; and John 2:11, 23, 3:2, 4:54, and many other places throughout the book. Jesus of Nazareth was a man accredited by God to you by miracles, wonders and signs, which God did among you through him (Acts 2:22). Jesus' work was valid testimony because he didn't perform it by his own power. He performed it by the power of the Holy Spirit. The book of Acts also mentions many other signs and wonders the Holy Spirit used to testify to the gospel. For instance, Acts 2:43, and 5:12, say that the apostles performed many wonders and miraculous signs. And these miracles caused them to be highly regarded even by those outside the church. Further, in Acts 4:30, the church prayed that God would perform signs and wonders through them as a testimony to Jesus. And other episodes in the book of Acts indicate that God answered this prayer positively. The Holy Spirit uses everything in creation to reveal God to us. And sometimes he even communicates with human beings directly. And that's good news for believers. It means that when we preach the gospel, there's something inside every human being that recognizes the truth of what we're saying. And it means that everything we encounter can teach us something valuable for our relationship with God and with other people. Of course, the most valuable revelation the Spirit has given us is Scripture. And that should be our guide to interpreting every other bit of revelation we encounter. Ultimately, all revelation, rightly interpreted, has the same goal. It proclaims the glory of God, and obligates us to repent and be saved by grace through faith in Christ. So far in our lesson on the Holy Spirit's work in the world, we've explained his works of creation, providence and revelation. Now let's turn to our last major topic: common grace. The term "common grace" can encompass a variety of biblical teachings related to the fact that sinful, unsaved human beings can still attain positive human life and culture. Passages like Genesis 3 and Romans 5 teach that when Adam and Eve fell into sin, the entire human race was cursed and enslaved to sin. But unsaved, sinful human beings aren't as bad as they could be. They aren't utterly evil and depraved. They help others. They love their children. They create beautiful art. They make true and helpful discoveries in math, medicine, and so on. But how can this happen? Since unredeemed human beings are slaves to sin, why do they still exhibit truthfulness, goodness and beauty? The answer is "common grace." When we speak of "common grace," we have in mind, either: those general operations of the Holy Spirit whereby He, without renewing the heart, exercises such a moral influence on man through His general or special revelation, that sin is restrained, order is maintained in social life, and civil righteousness is promoted; or those general blessings, such as rain and sunshine, food and drink, clothing and shelter, which God imparts to all men indiscriminately where and in what measure it seems good to Him. Berkhof mentioned two primary types of common grace. First, he mentioned blessings that restrict evil, so that "sin is restrained, order is maintained in social life, and civil righteousness is promoted." And second, Berkhof listed blessings that meet humanity's daily needs, such as "rain and sunshine, food and drink, clothing and shelter." As with many other theological concepts, different traditions define common grace in different ways. For instance, some define it to include the gift of life itself. Others think it includes the softening of sinners' hearts so they can respond positively to the gospel. And some traditions don't use the term at all. They believe that if the work of the Holy Spirit doesn't ultimately result in our salvation, it can't properly be called "grace." Nevertheless, for our purposes in this lesson, we'll follow Berkhof's idea of common grace by focusing on the Holy Spirit's providential work of increasing goodness, and of providing for daily human life. In line with this approach, our discussion of common grace will focus on two ideas. First, we'll look at the Holy Spirit's work of promoting goodness. And second, we'll address his work of promoting life. Let's look first at the Spirit's work of promoting goodness in human beings. God's primary purpose for humanity is for us to turn the world into his earthly kingdom. This is clear from his creation of humanity in the very first chapter of Scripture. In Genesis 1:26-28, God assigned humanity the task of ruling over creation on his behalf by filling and subduing the earth. This passage is commonly known as the "cultural mandate," because it commands the establishment of human culture and society throughout the world. This same emphasis on God's kingdom is repeated throughout Scripture. And it finally comes to its fulfillment in the book of Revelation, where God's kingdom fills the whole world. This is mentioned explicitly in Revelation 11:15. And Revelation 21:1–22:5 provides a detailed description of what this kingdom looks like: the entire world serves God, who reigns on earth from his throne in the New Jerusalem. In line with this goal for creation, the Holy Spirit providentially governs humanity in a way that makes possible the expansion and stability of human culture. For example, he provides civil governments to restrain and punish human evil, as Paul taught in Romans 13:1-7. He provides humanity at large with a common sense of justice and conscience, as Jesus taught in John 16:8-11, and as Paul confirmed in Romans 1:32, and 2 Corinthians 4:2. Of course, sinful human beings often reject the judgments of their God-given consciences. But those consciences still exert an influence toward goodness in human life and society. It is the spirit in a man, the breath of the Almighty, that gives him understanding (Job 32:8). Here, Elihu indicated that all true knowledge and understanding come from God. And the association of knowledge with our spirits and God's breath implies that the Holy Spirit is the person of the Trinity that imparts this knowledge. Moreover, the Holy Spirit providentially governs the world in such a way that good behavior tends to produce good results. This is a fundamental point of biblical wisdom literature, like Proverbs. And it holds true for all human societies. For example, disciplining and educating children tends to make them more civil and responsible adults. Treating others with kindness and fairness tends to make them treat you the same way. Gentle answers turn away anger, but harsh words stir up anger — no matter who you are. Surely your wrath against men brings you praise, and the survivors of your wrath are restrained. Make vows to the Lord your God and fulfill them; let all the neighboring lands bring gifts to the One to be feared. He breaks the spirit of rulers; he is feared by the kings of the earth (Psalm 76:10-12). As just one example, remember that in Exodus 14, God destroyed the wicked Egyptian army in the Red Sea. This put an end to their persecution of Israel, and greatly hindered their ability to trouble other nations, too. The Holy Spirit's providential governance of the world is the primary reason sin hasn't driven all human society to self-destruction. He prevents unbelievers from being as evil as they might be, and limits the damage they cause. Moreover, it's his positive influence that creates just governments, friendly relationships, and loving families. And it's his intellectual gifts that allow us to discover helpful truths in all areas of human study and achievement. Simply put, it's the Spirit's divine goodness that enables all creaturely goodness in the world. Now that we've outlined how common grace includes promoting goodness, let's turn to the Spirit's work of promoting life. The living God, who made heaven and earth and sea and everything in them … has shown kindness by giving you rain from heaven and crops in their seasons; he provides you with plenty of food (Acts 14:15-17). Love your enemies, do good to them, and lend to them without expecting to get anything back. Then your reward will be great, and you will be sons of the Most High, because he is kind to the ungrateful and wicked (Luke 6:35). Jesus taught that one way Christians are to be like God is by loving and doing good to our enemies. And this instruction only makes sense if God himself is loving and benevolent toward his enemies — which he is. Like the Spirit's promotion of goodness in human society and culture, his promotion of life also serves to build the kingdom of God throughout the world. It enables human beings to subdue the earth, to rule over its creatures, and to fill the world with images of God. But in his promotion of life, the Spirit is so gracious that he even grants sinful human beings good things that aren't necessary to the cultural mandate. [The living God] fills your hearts with joy (Acts 14:17). As amazing as it might sound, the Holy Spirit is so benevolent and kind that he allows all human beings — including those that hate him — to experience heartfelt joy in their lives. The Holy Spirit's ministry of common grace is a tremendous reason for us to respect and honor him. It's an expression of kindness, mercy and patience toward those who don't deserve it. It's the ground of all goodness and order in human culture. And it's a compelling reason for unbelievers to stop opposing God, to repent of their sins, and to receive forgiveness in Christ. In this lesson on the Holy Spirit's work in the world, we've explained his work of creation when the universe began, and broadly described his work of providence with respect to nature and humanity. We've also considered his work of revelation by surveying several models that describe it, and by pointing out that the Spirit is the source of all revelation. And we've outlined his work of common grace in terms or promoting goodness and promoting life. The Holy Spirit's presence in the world has far-reaching results. As we've seen, he's been forming, upholding and governing existence since the first moment of creation. All life, all history, all reality depends on and is an expression of his work. And this should be a great source of confidence and comfort for believers. God himself is present with us at every moment. He provides for us. He protects us. He loves us. And he controls every facet of creation in ways that will ultimately bring the fullness of his kingdom to earth, and the fullness of his blessings to us. Dr. Ramesh Richard (Host) is Founder and President of RReach, a global proclamation ministry that seeks to evangelize leaders and strengthen pastors around the world. He is also Professor of Global Theological Engagement and Pastoral Ministries at Dallas Theological Seminary. Dr. Richard received his Th.D. in Systematic Theology from Dallas Theological Seminary and his Ph.D. from the University of Delhi. In 2008, Dr. Richard was the keynote speaker for the 23rd Annual International Prayer Breakfast at the United Nations. He is also the founder of Trainers of Pastors International Coalition (TOPIC) and the general convener of the 2016 Global Proclamation Congress for Pastoral Trainers. Rev. Mike Osborne is Associate Pastor of University Presbyterian Church in Orlando, FL. Dr. Greg Perry is Vice President for Strategic Projects at Third Millennium Ministries (formerly Associate Professor of New Testament and Director of City Ministry Initiative at Covenant Theological Seminary). Rev. Dr. Justyn Terry is Dean and President of Trinity School for Ministry, as well as Professor of Systematic Theology.